The Branxholme Recreation Reserve was gazetted in 1870 and the Swimming Pool Reserve was gazetted in 1929. The reserves which total over 6.5 hectares straddle the Arrandoovong Creek immediately to the east of the Henty Highway. Both represent the efforts, in two centuries, of the town's leading citizens to provide sporting facilities for the benefit of the community. Many individuals, both men and women, have contributed to the management of the reserves and the administration of the various sporting clubs. The reserves also represent an effort to use and develop the creek aesthetically and as a memorial to those who served in the two World Wars. This should be seen in association with the adjacent formal planting along the highway. The sport buildings and public facilities in the recreation reserve are of no particular significance. The swimming pool structure is significant. It retains a high degree of integrity but is in poor condition. The Branxholme Recreation Reserve and Swimming Hole are of historical, social and aesthetic significance to the township of Branxholme. The Branxholme Recreation Reserve and Swimming Hole are of historical and social significance for the long term, although intermittent, provision of sporting and recreational facilities. They are of aesthetic significance for their use and development of the natural landscape of the Arrandoovong Creek and its flood plain and as a memorial to those who served in the two World Wars. The Swimming Pool and its equipment are in fair condition. The recreation structures and other facilities are in good condition. 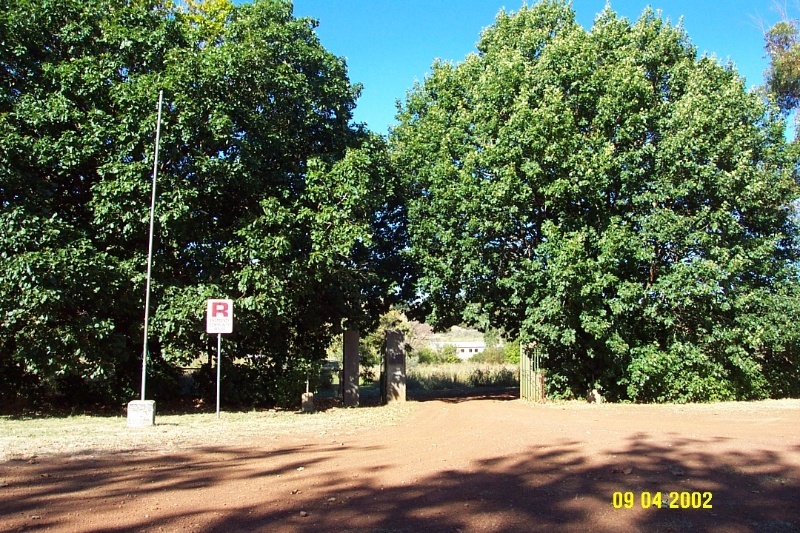 The Branxholme Recreation Reserve and Swimming Pool is located on a reserve of over 6.5 hectares which straddles the Arrandoovong Creek immediately to the east of the Henty Highway. The reserve is approached by a large concrete memorial gateway, which is dedicated to those who served and fell in World War Two. On either side of the gate, a row of English Oaks (Quercus robur) forms a memorial planting. Immediately inside the gates to the reserve is a single memorial planting marked by a plaque dedicated to those who fell in World War One. The swimming pool is a concrete tank with a weir across the downstream end, fed by the Arrnandoovong Creek. There are metal cages and a ladder in the pool. The banks appear to have been maintained as lawns for sunbathing. The reserve also has several later twentieth century structures, including sporting clubrooms, cream brick toilet block and timber ticket booth. A large sporting oval dominates the centre of the reserve. The buildings of the recreation reserve are not significant but the swimming pool is relative intact and significant.